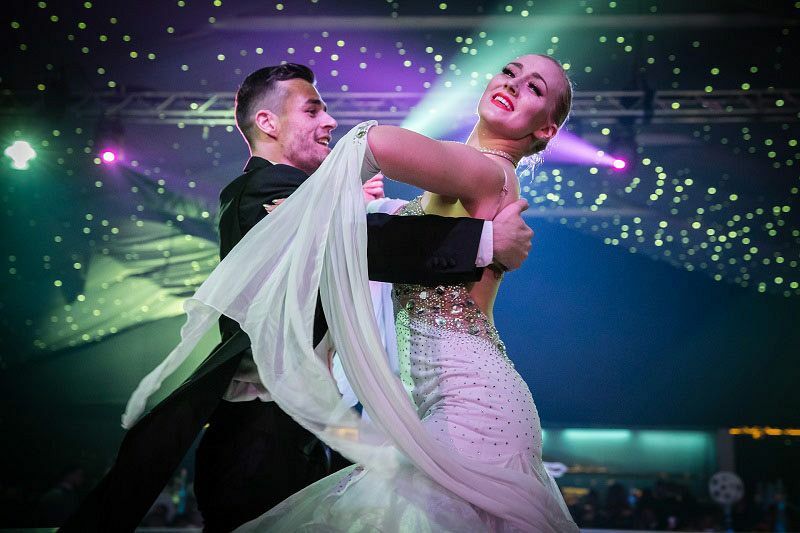 This Christmas in Nottingham, a stunning evening awaits you and your team with this spectacular ‘Midnight in Monte Carlo’ themed event. 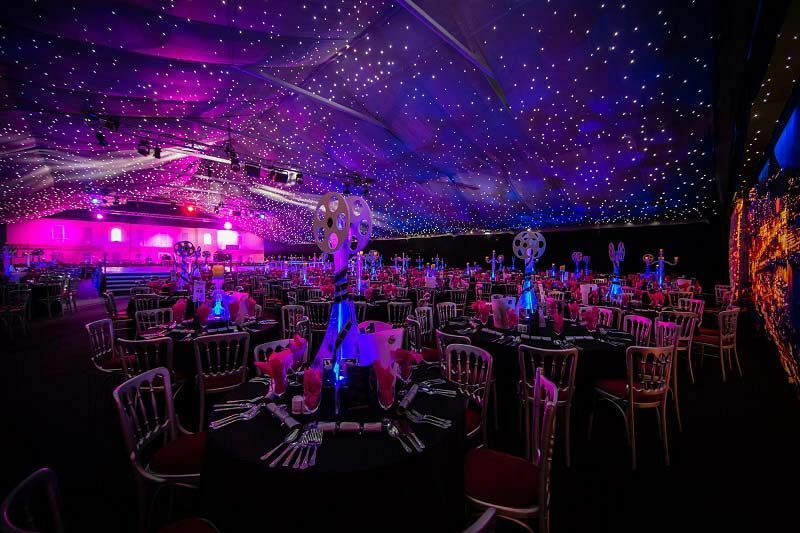 Taking place at a fantastic venue in the city, you’ll be treated to a night of pure indulgence and exceptional hospitality, all whilst enjoying the glitz and glamour of the outstanding Monte Carlo theming and scenery. On arrival, you’ll take a stroll down the red carpet, where you’ll be greeted by the infectious sounds of the venue’s talented singers and incredible ornate columns and marble flooring. Start the night off in style with a sumptuous selection of hot and cold canapes, whilst relaxing with an ice-cold drink from one of the uniquely themed bars. 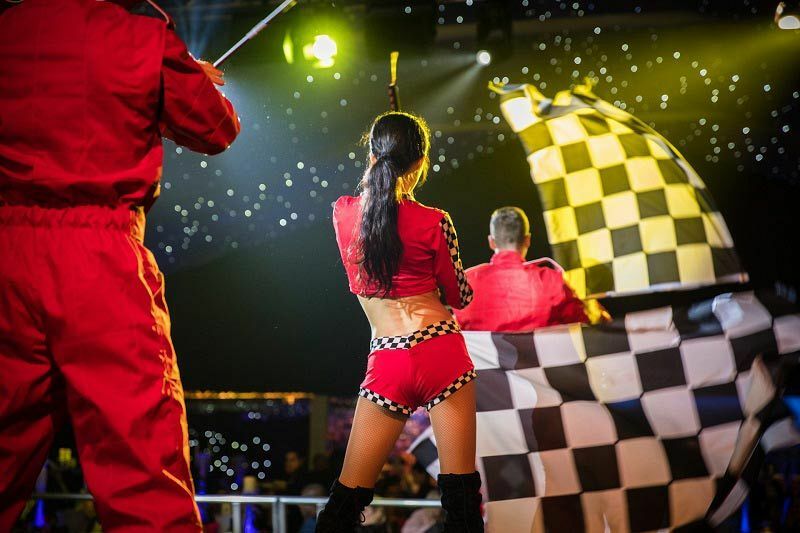 Take a seat at your table and prepare your senses for a sensational three-course feast, as the resident band perform, followed by the amazing aerial acrobatics and silk acts who will keep you entertained with their jaw-dropping skills! Experience a mesmerising finale with the breathtaking fire and pyrotechnic performers who will keep you perched on the edge of your seats. A delicious cheese buffet will be available after dinner at an ongoing station, so ensure that you save some room! The night shows no signs of slowing down as the opulently furnished charity casino opens for business, so why not try your luck here, before hopping on the dodgems and taking an exhilarating ride. Finish up the night on the state-of-the-art dancefloor and party the night away to some of the best tunes around. If you manage to make it into the early hours, then you’ll be rewarded with a delicious Survivor’s Breakfast to refuel you for the journey home! Make your Christmas party a glamorous occasion with this unforgettable themed evening – send an enquiry through today and make the first steps in organising this year’s Christmas event!